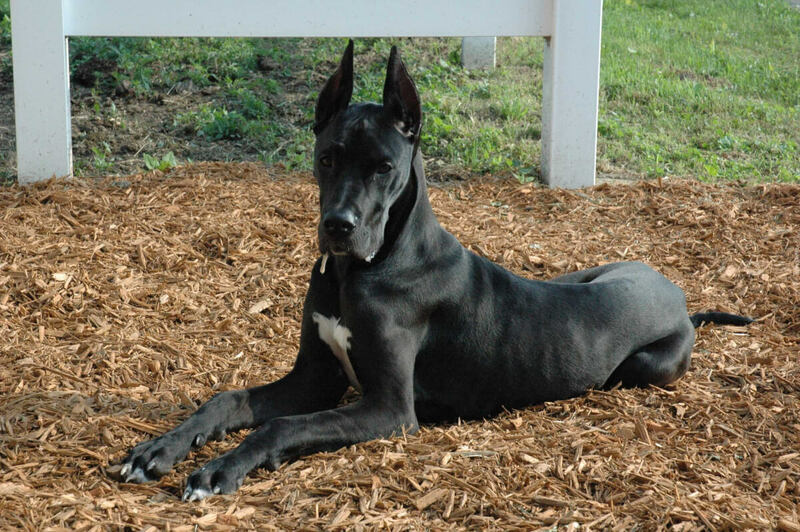 Commonly called the "Gentle Giant", the Great Dane is one of the largest dog breeds in the world and were originally bred to hunt wild boar. 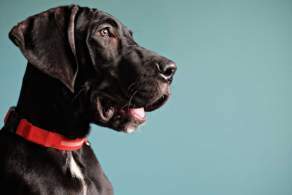 While the breed's giant size is often intimidating, the Great Dane is actually very well mannered, sweet, affectionate, and gentle with children. 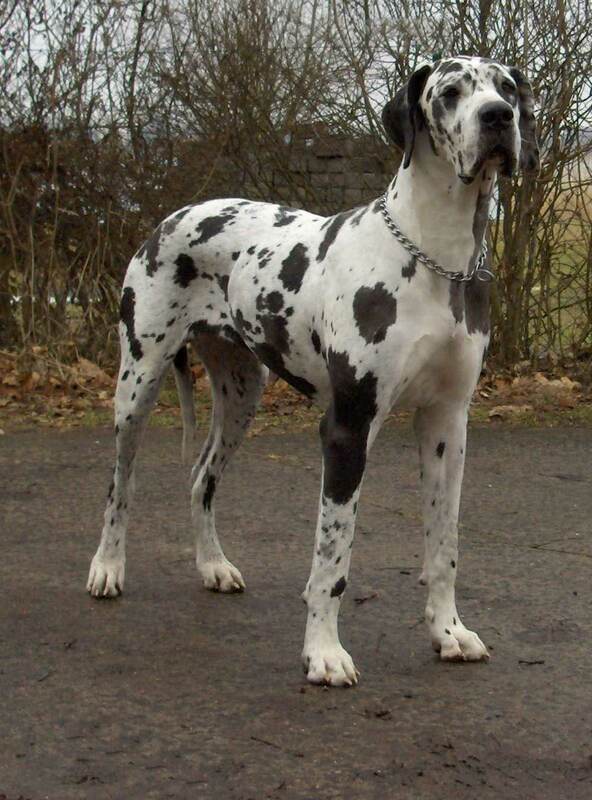 Great danes are very people oriented and prefer to be with their family as much as possible. However their size can make it difficult for them to be ideal house dogs, so training is necessary since their size can make it easy for them to knock over small tables and furniture if excited. 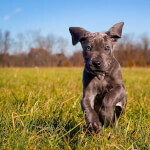 Below are the characteristics and traits of the great dane dog breed. As one of the largest dog breeds in the world, it's not uncommon for great danes to weigh as much as their owner. Males can exceed 200 pounds and be as tall as 34 inches from ground to shoulder. 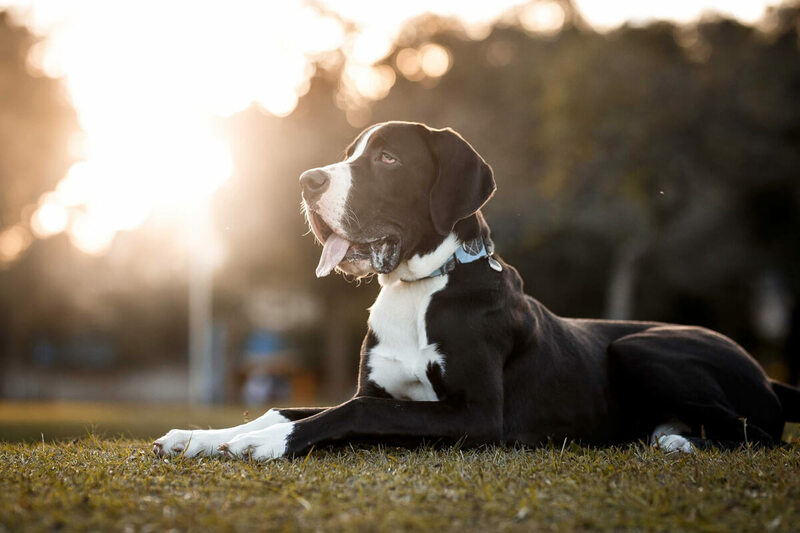 Not surprisingly, the breeds size presents challenges for some owners so obedience training is highly recommended for inexperienced dog owners. Great danes have an eager to please personality with a strong desire to play. 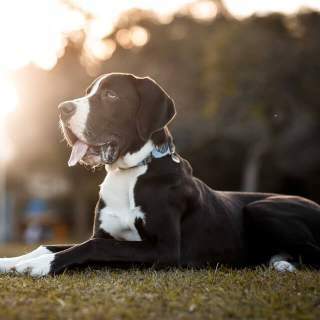 They enjoy companionship with people, even if they are complete strangers. However, they breed will become defensive if they feel you or their family is threatened. 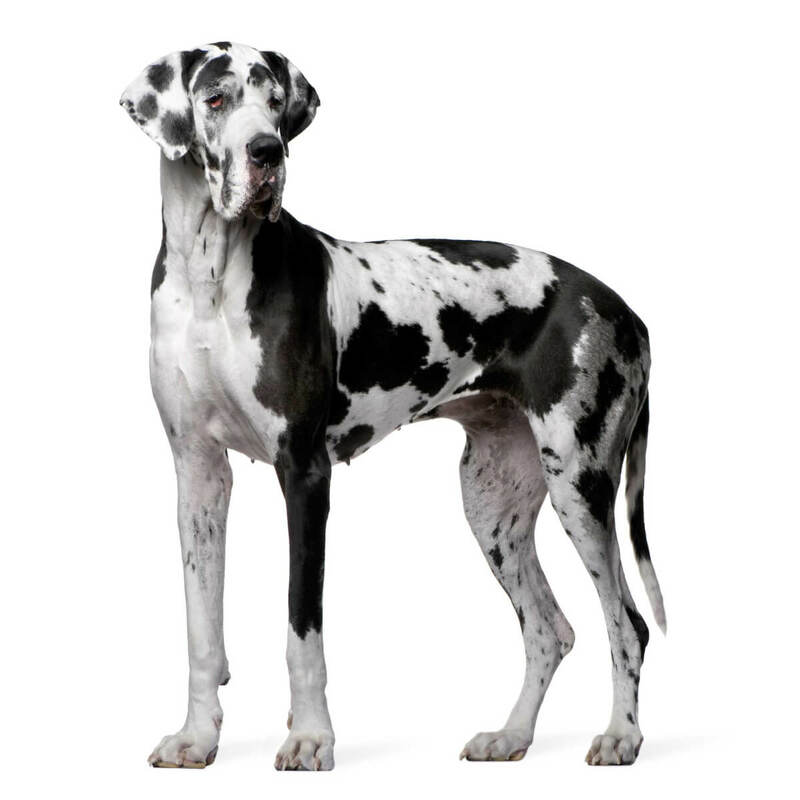 Great danes love children, but need to be supervised as their size and strength can easily knock over children and adults with ease. 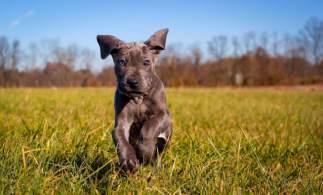 The breed does well with pets, but can be aggressive towards farm animals such as livestock. 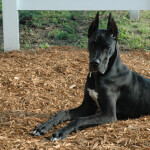 Great danes shed frequently, but brushing them consistently helps minimize excess fur from collecting on furniture. Frequent brushing also helps cut down on baths, which can get messy with such a large dog. Adults need 30-60 minutes of exercise daily to meet their energy needs and to prevent unwanted hyperactive behavior. 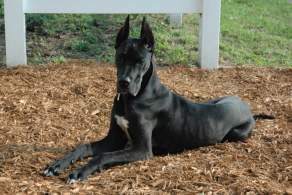 Below are common great dane coat colors. 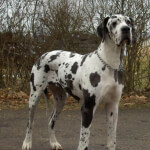 Below are pictures of the Great Dane dog breed.